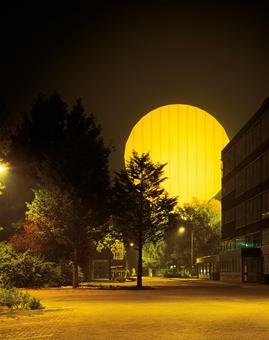 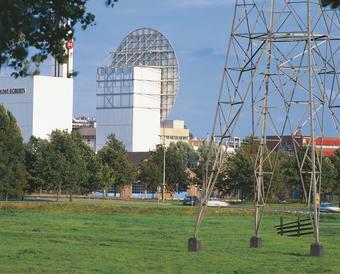 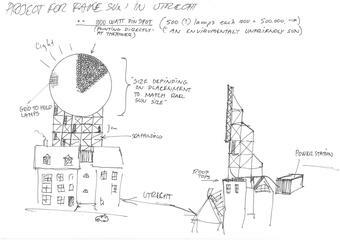 A yellow corrugated metal disc, 38 m in diameter, was erected on scaffolding on top of an industrial building in Utrecht in the Netherlands. 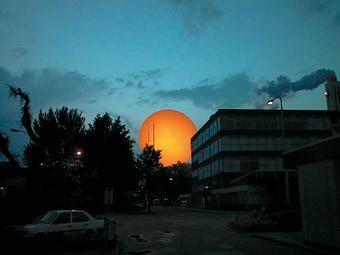 Floodlights situated on a neighbouring building lit up the disc at dusk. 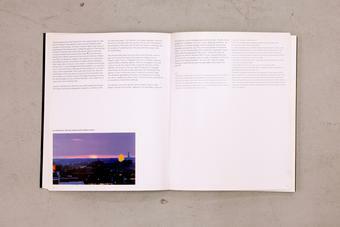 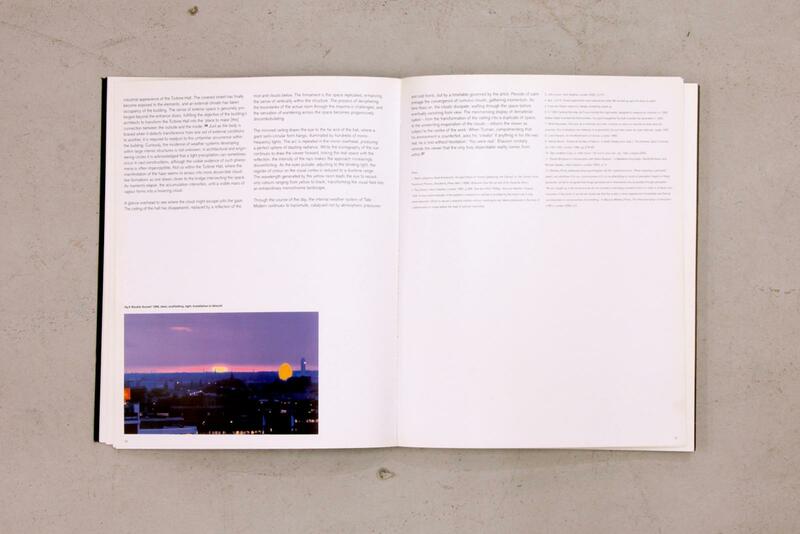 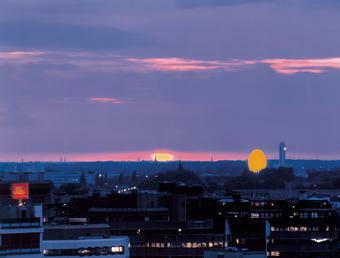 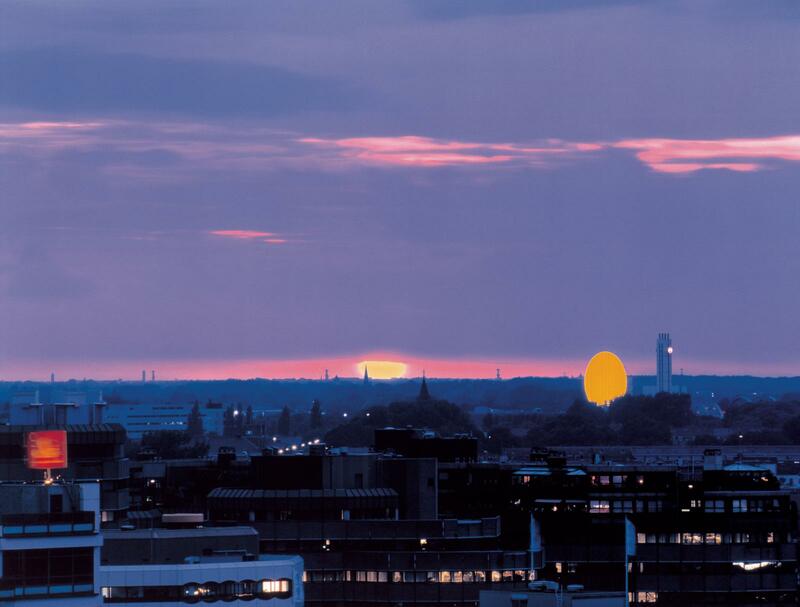 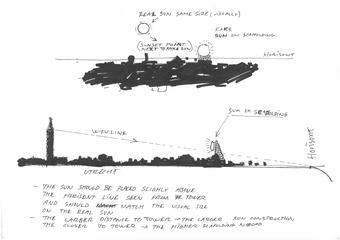 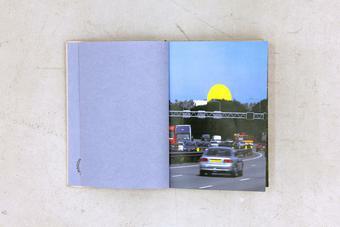 Visible from across the city, it resembled a second sunset alongside the actual sunset.